HB33 HD1 RELATING TO MAGNET SCHOOLS. HB242 RELATING TO CAPITAL IMPROVEMENT PROJECTS FOR AN INTERMEDIATE SCHOOL IN THE NINTH REPRESENTATIVE DISTRICT. HB277 RELATING TO HIGHER EDUCATION. HB278 RELATING TO HIGHER EDUCATION. HB407 HD1 SD1 RELATING TO EDUCATION. HB603 RELATING TO MOTOR VEHICLES. HB722 HD1 RELATING TO PALLIATIVE CARE. HB922 RELATING TO THE EXECUTIVE OFFICE ON EARLY LEARNING. HB923 RELATING TO THE EXECUTIVE OFFICE ON EARLY LEARNING. HB924 RELATING TO PUBLIC CHARTER SCHOOLS. HB925 RELATING TO PUBLIC CHARTER SCHOOLS. HB926 RELATING TO STATE LIBRARIES. HB1071 RELATING TO THE GENERAL EXCISE TAX. HB1142 HD1 SD1 RELATING TO THE HOUSING LOAN AND MORTGAGE PROGRAM. HB1165 HD2 SD2 RELATING TO GENDER IDENTIFICATION. HB1348 RELATING TO TRANSIENT ACCOMMODATIONS. HB1382 HD2 RELATING TO CAMPAIGN FINANCE. HB1521 HD1 RELATING TO THE UNIVERSITY OF HAWAII BUDGET. HB1522 HD1 RELATING TO THE UNIVERSITY OF HAWAII BUDGET. HB1523 HD1 SD1 RELATING TO THE DEPARTMENT OF EDUCATION BUDGET. HB1524 HD1 SD2 RELATING TO THE DEPARTMENT OF EDUCATION BUDGET. HB1525 HD1 SD1 RELATING TO THE HAWAII STATE PUBLIC LIBRARY SYSTEM BUDGET. HB1526 HD1 SD2 RELATING TO THE STATE PUBLIC CHARTER SCHOOLS BUDGET. HB1527 HD2 SD2 RELATING TO THE EXECUTIVE OFFICE ON EARLY LEARNING BUDGET. HB1545 RELATING TO VOTER REGISTRATION. HCR27 REQUESTING THE AUDITOR TO CONDUCT AN AUDIT OF THE DEPARTMENT OF EDUCATION'S STATEWIDE BACKLOG OF CAPITAL IMPROVEMENT REPAIR AND MAINTENANCE PROJECTS. HCR113 HD1 CONVENING THE MULTIPLE LANGUAGES EMERGENCY NOTIFICATION WORKING GROUP. HCR169 HD1 REQUESTING THAT THE DEPARTMENT OF EDUCATION CONTRACT WITH A THIRD-PARTY CONSULTANT THAT SPECIALIZES IN SCHOOL FINANCE TO STUDY THE ADEQUACY OF PUBLIC EDUCATION FUNDING IN HAWAII. HCR215 REQUESTING THE AUDITOR TO CONDUCT A COMPREHENSIVE MANAGEMENT AUDIT OF THE DIVISION OF CONSUMER ADVOCACY. HCR216 HD1 SD1 SUPPORTING THE DEVELOPMENT OF COLLEGE ESPORTS AT THE UNIVERSITY OF HAWAII. HCR217 HD1 URGING THE DEPARTMENT OF HUMAN SERVICES TO CREATE A COMPACT OF FREE ASSOCIATION ADVISORY BODY. HCR219 URGING THE STATE AND EACH COUNTY TO ADOPT THE GLOBAL PACT FOR THE ENVIRONMENT TO ACHIEVE THE UNITED NATIONS PARIS AGREEMENT AND THE 2030 DEVELOPMENT AGENDA, AND TO SPECIFICALLY ADOPT THE UNITED NATIONS SUSTAINABLE DEVELOPMENT GOALS, NUMBERS 13 THROUGH 17. HR32 REQUESTING THE AUDITOR TO CONDUCT AN AUDIT OF THE DEPARTMENT OF EDUCATION'S STATEWIDE BACKLOG OF CAPITAL IMPROVEMENT REPAIR AND MAINTENANCE PROJECTS. HR151 HD1 REQUESTING THAT THE DEPARTMENT OF EDUCATION CONTRACT WITH A THIRD-PARTY CONSULTANT THAT SPECIALIZES IN SCHOOL FINANCE TO STUDY THE ADEQUACY OF PUBLIC EDUCATION FUNDING IN HAWAII. HR194 URGING THE STATE AND EACH COUNTY TO ADOPT THE GLOBAL PACT FOR THE ENVIRONMENT TO ACHIEVE THE UNITED NATIONS PARIS AGREEMENT AND THE 2030 DEVELOPMENT AGENDA, AND TO SPECIFICALLY ADOPT THE UNITED NATIONS SUSTAINABLE DEVELOPMENT GOALS, NUMBERS 13 THROUGH 17. HR210 CONGRATULATING ‘IOLANI SCHOOL AS THE 2019 LIFESMARTS STATE CHAMPION AND WAIPAHU HIGH SCHOOL AS A 2019 LIFESMARTS STATE FINALIST. HR211 CONGRATULATING CHELSEA MASAKI, RYAN PARK, CATHERINE CHOW, AND STEFANI SAKAMOTO AS THE 2019 PRUDENTIAL SPIRIT OF COMMUNITY AWARD RECIPIENTS. HR212 CONGRATULATING THE 2019 HAWAI‘I STATE DEPARTMENT OF EDUCATION TEACHER OF THE YEAR, THE 2019 HAWAI‘I STATE DEPARTMENT OF EDUCATION DISTRICT TEACHERS OF THE YEAR, AND THE 2019 HORACE MANN AWARD FOR TEACHING EXCELLENCE HONOREE. HR213 CONGRATULATING THE 2018 NATIONAL DISTINGUISHED PRINCIPAL AND HONOREES, THE 2018 HAWAII OUTSTANDING VICE PRINCIPAL, AND THE 2019 STATE ASSISTANT PRINCIPAL OF THE YEAR. HR214 CONGRATULATING DESIRE DESOTO AS THE 2018 HAWAII SCHOOL COUNSELOR OF THE YEAR AND THE 2019 NATIONAL COUNSELOR OF THE YEAR FINALIST. HR215 CONGRATULATING SARA KAMIBAYASHI AS THE 2019 LIBRARIAN OF THE YEAR AND MONA TAVARES AS THE 2019 EXCELLENCE IN SERVICE AWARD RECIPIENT. Honolulu, Hawaii - As part of the current state budget proposal, the House approved $31.2 million for capital improvement projects for Kahului Elementary School, Maui Waena Intermediate School, Kahului Airport, and Kahului Harbor. "The Maui delegation and I worked hard to gradually upgrade and improve facilities throughout Central Maui," said Representative Justin Woodson (Kahului, Pu'unene, Old Sand Hills, Maui Lani). "We're making good progress thus far." Among the appropriations, about $1.5 million will go to the two remaining District 9 schools in need of air conditioning units - Kahului Elementary School and Maui Waena Intermediate School. "These funds will bring us closer to our heat abatement goals here in Maui," said Woodson. Nearly $29.6 million will go toward renovations at Kahului Airport. The funds are designated for holdroom and gate construction and improvements. "The updated facilities will enhance everyone's experiences using the airport and hopefully, encourage return visitors," said Woodson. An additional $150,000 in funding was also provided for the purchase of a portable bathroom complex for Kahului Harbor. In addition to CIP funding, on March 9, the House of Representatives crossed over House Bill (HB) 1594, the Hawaii Promise Program, to the Senate. Woodson introduced the bill, which received the support of all 51 representatives. The Hawaii Promise Program would help students who qualify to have their remaining unmet financial aid paid through state funds, allowing them to attend college for free. While David Governor Ige, in his State of the State address, announced that he would support a program to provide two years of free tuition, HB 1594 would extend the support to four years. "There is no better promise we can make to our young people than that they will get the chance to receive career or technical training and education," said Woodson. "Giving students a helping hand through financial aid is one of the most important bills the legislature can pass this session." 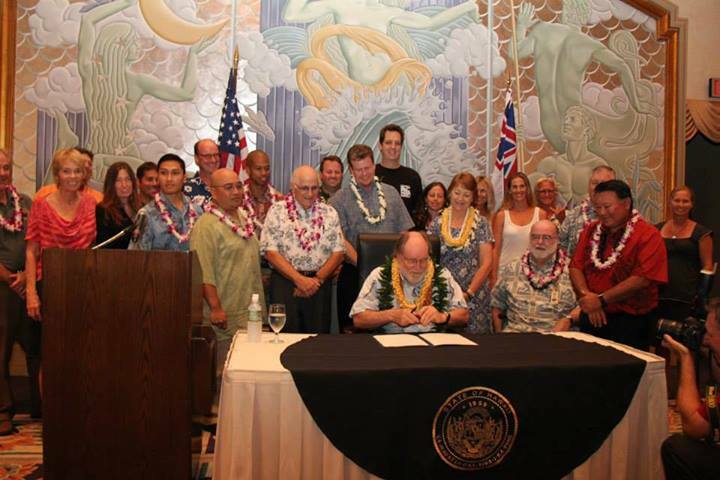 Wailea, Maui - Joined by a delegation of Maui lawmakers and community groups, Governor Abercrombie this morning signed into law House Bill 1424, which authorizes the Department of Land and Natural Resources to utilize an appropriation of $20 million for the purchase and acquisition of land parcels at Lipoa Point. Maui House legislators participating in the public signing ceremony today included Speaker Joseph M. Souki, Representatives Angus McKelvey, Mele Carroll, Kaniela Ing, and Justin Woodson. SB498 which appropriates $600,000 for the establishment of a Maalaea-based special emergency medical response vehicle unit to service the island of Maui on a twenty-four hour, seven-days a week basis. This will supplement the two ambulances already servicing Maui Island and will directly impact the health of Maui residents for the better. SB1412 shall require the Department of Land and Natural Resources to accommodate native Hawaiian canoes for cultural and education purposes at small boat harbors across the State. HB1328 will increase the Kaho'olawe Island Reserve Commission's purchasing flexibility by making permanent the exemption for the procurement of food or fuel products. Governor Neil Abercrombie today announced the release of more than $134.7 million for capital improvement projects (CIPs), identified by members of the state Legislature, that will improve Hawaii�s public school facilities while enhancing economic conditions. Funds for Central Maui Middle Schools will be used to implement planning for a new school that will accommodate the population growth in Central Maui. According to the Department of Education, schools in the area are already over capacity. As a condition for developing a housing project in Central Maui, the developer has set aside space for this new school (no funds to purchase land will be needed). Throughout the 2013 Legislative Session Representative Justin Woodson has worked diligently for the people of Maui. 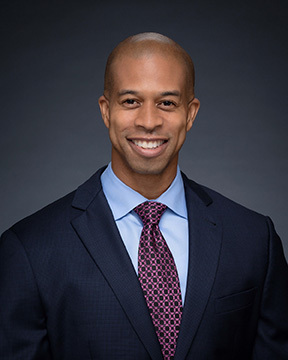 As a member of the Finance Committee, Representative Woodson was able to help secure funding for the development of Maui's two most imperative forms of freight transportation, the Kahului Airport and the Kahului Harbor. He was also able to assist in receiving the Department of Transportation's full request of $50 Million dollars for the Kahului Airport and $6 Million dollars for the Kahului Harbor. These funds will be used for the Kahului Airport for land acquisition and much needed renovations. Kahului Airport experiences over 5.3 million passenger arrivals and departures a year. With such a large influx of visitors and Kamaaiana traveling interisland, development is essential for the continued operation of the facility. The most prominent improvement the airport is expected to receive will be a secondary access road from Hana Highway that will bring drivers directly to the terminal. The land acquisition will also provide room to develop rental car facilities. Kahului Harbor is one of ten commercial harbors within the State of Hawaii. It is Maui's only deep draft commercial harbor and is the third busiest in the state system. Most goods used by Maui residents and visitors arrive through the Kahului Harbor. The Department of Transportation projects that due to limited land capacity the Harbor will not be able to keep up with the demand of goods necessary. In light of this information and ongoing communication between Representative Justin Woodson and the Department of Transportation, the 2013 Legislature found it necessary to appropriate funds in the amount of $6 million dollars. These funds will be used for improvements to provide safer and more efficient operations at Kahului harbor.